At the Goodwood Festival of Speed (29 June - 1 July), the 100% electric Nissan LEAF will attempt to complete the famous 1.16-mile Goodwood hillclimb course as fast as possible... but in reverse, setting a new Guinness World Record for the fastest time over a distance of one mile in reverse. With direct drive from the electric motor to its wheels, the Nissan LEAF going backwards should be able to hit the same top speed it manages going forwards. With its batteries located under the floor of the car, it has a low centre of gravity making the car very stable at speed with little body roll under cornering. And with fewer moving parts than a conventional car, there's less likelihood of mechanical issues thwarting the attempt. The attempt is part of Nissan's ambitious social media-driven campaign, The Big Turn On, which is spreading the EV message across Europe. 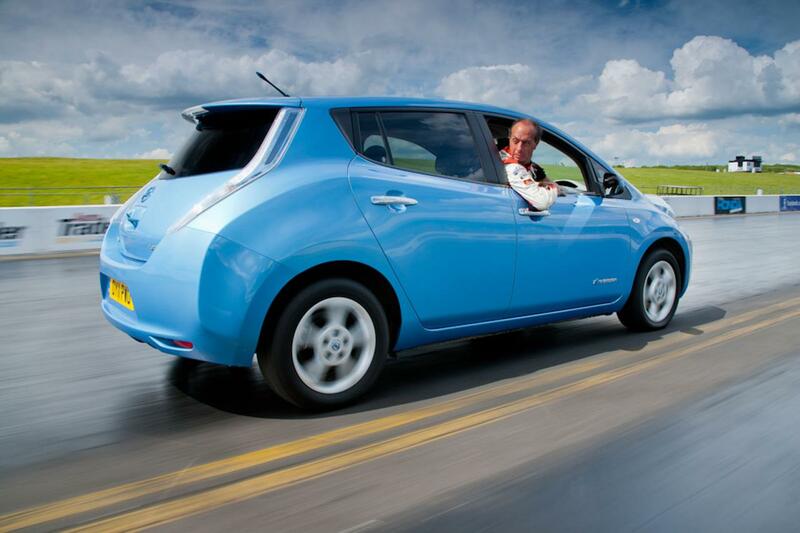 The campaign aims to prove that as well as being environmentally friendly, the Nissan LEAF is safe, economical to run, practical, and fun to drive. Professional stunt driver Terry Grant will attempt the LEAF Reverse Record. Terry thrilled the crowds at the 2011 Festival of Speed by driving a Nissan JUKE up the hillclimb course on two wheels. "The LEAF Reverse Record isn't going to be easy and will be very challenging," admitted Terry. "I'd prefer to do it on a nice straight and level strip of tarmac rather than on Lord March's drive. The hill not only climbs, but is also full of twists, turns and obstacles. "It's a hugely technical test of speed and concentration. But despite the risks, the strength and integrity of Nissan LEAF's design gives me confidence. Whatever happens, I know I'm going to finish the weekend with a serious crick in my neck!"